After its acquisition of Yahoo wraps up, Verizon plans to place AOL and Yahoo under the umbrella of a new company, called Oath. 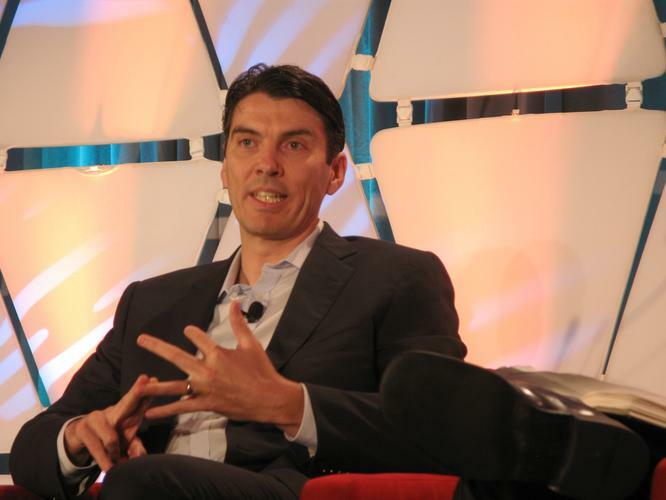 AOL chief executive Tim Armstrong on Monday announced the move on Twitter, writing, "Billion+ Consumers, 20+ Brands, Unstoppable Team. #TakeTheOath. Summer 2017." AOL, which owns the Huffington Post, Engadget and TechCrunch, will pool all of the properties with Yahoo under the Oath umbrella, according to Armstrong, in an interview with CNBC. "This is a sad thing for everyone who remembers when Yahoo and AOL were riding high," said Dan Olds, an analyst for OrionX. "For many people, AOL was their first experience with the Internet and was probably their first email address. A lot of people's first experience with Internet search, and other services, was probably with Yahoo. Unfortunately, the companies couldn't keep up with the ever-changing competition and fell into the backwaters of the Internet." "I think it is too early to know what this will mean," said Judith Hurwitz, an analyst with Hurwitz and Associates. "There are multiple technologies that each company has. Do they intend to provide services for customers? Do they want to create underlying technology that helps make the overall company better able to respond to change?" Yahoo has been struggling financially and in maintaining its footing in the market for several years. The company also has had to contend with the two huge data breaches. After failing to solidify its position, the company announced last July that it's selling its core internet assets to Verizon for $4.8 billion. The sale is expected to close in the second quarter of this year. Verizon bought AOL, another ailing company that had once been an internet powerhouse, in 2015 for $4.4 billion. While neither Yahoo CEO Marissa Mayer nor Yahoo have said what Mayer will be doing after the acquisition, ReCode reported that she will not be part of Oath. Rob Enderle, an analyst with the Enderle Group, said creating Oath is a way to save money after the merger. "They try to hold on to the combined revenue but cut costs by removing redundant staff and overhead," Enderle said. "It doesn't make them more innovative or powerful but the result is cheaper to runâŚ I expect Oath, which abandons both known brands in a textbook bad practice, to be starved into obscurity." However, with both Yahoo and AOL, Verizon has purchased an entrance into the online media business. Both companies come with experienced people and valuable technology. Olds said he isn't optimistic about the likelihood of success for Oath since the new company will be based on two struggling, old-school ventures. "My first take on this is that it's like tying two rocks together in order to get one of them to float," he said. "That's maybe a bit uncharitable. The companies do still have quite a few users, at least on their email services. But there aren't a lot of growth assets at either company, despite how management tries to spin it. If these were successful companies today, they would still be independent and not owned by Verizon." There isn't much to get excited about over this new company, Olds added. "One of the problems for Yahoo and AOL, when they were trying to pull themselves out of the bottom-feeder muck, was that the expectations were pretty high for them â probably impossibly high," he said. "They were never going to reach their prior prominence. I don't think there are a lot expectations for Oath, which gives them a low bar to hurdle."